Here's my slant on Timing & Exploiting Angles, and I'm still working on getting it right and I guess it's something to work on, my Sensei has done it with the whole dojo 30 people and has explained it only in a very fundamental way, all of the stuff in this posting was worked out through practicing with my fellow Yudansha's and trial and error. Any thoughts on this subject would be great. I have found that in multiple attack Randori also called Jiyo waza (Free movement) is a great leveler, after practicing for a long time in situations of just one person attacks I found that by dealing with multiple attackers for a prolonged period (that is like bang, bang, bang, you put 2,3,4, down & they get up or if one can't keep attacking he/she is replaced by a fresh person). 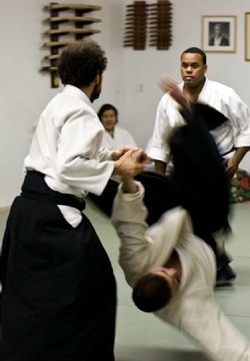 The interesting thing about this sort of Randori is that 4 persons is a key number. If you can handle 4 you probably can handle 5,6,7 people. This is a timing thing, if you learn through practice to deal with up to four people you will find there is an attack speed that is fastest at four people. Add one more person and they will slow the attack speed down to the speed of three persons. When you are dealing with one person you can get away with having a good deal of body tension, aggression, and your timing does not have to be too developed for you to successfully deal with one person. 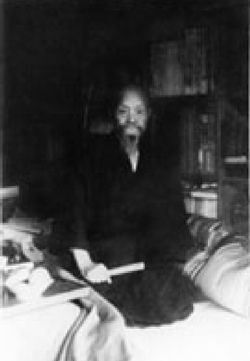 With one person you can direct all of your attention and physical strength to this one situation, but the thing I have learned through much suffering and pain is that you can't afford to waste to much time or energy on one person in a multiple attack which brings up something that I think is one of the most important technical principles in martial arts that is "economy of movement". There is a rule that applies to dealing with these numbers and that is if you show off your physical strength you also give away the extent of you physical power and your weakness. What you need to do is take in the whole room or scene. You will see everything that is coming, and this will also stop you from leaning or cramping down on one attacker. Deal with one person at a time and maneuver your body so that only one or two people reach you at one time. Your techniques have to work the first time with the minimum of effort and this requires superior timing and many hours of ordinary consultation training. If you can not apply a technique do not waste any effort trying to force it. Move away and let them come after you again, and try something else. 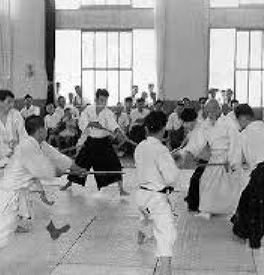 I have not come across any other practice that teaches so clearly the limits of using physical power and aggression, once you start to understand some of the principles relating to "Multiple Attacker Randori" (MAR) you never think much of Macho Mannish aggressive strength again. I don't think there is any other means of learning MAR except through practice and for those who have no experience of this I can list some dos & don'ts of MAR so in hindsight you can say "Oh, I remember Cary said it worked like this"
You extend your mind half a meter beyond your circle, your circle is the reach of your leg in a kick or the reach of an extended sword -this circle is called Sen no tachi (Sword of initiative), the technique in MAR does not really have a start or finish until no one is left to attack you, but on a individual level the technique starts when the opponent crosses this line. Kokyo breath power timing, is very important. As the opponent crosses the line you inhale and as you apply a technique you exhale. The speed of your breathing will reach its peak with four people. The inhalation/ exhalation breaths will help you find the timing of the attacks, add power to your techniques, and protect you so you won't get hit while just starting to inhale and get the wind knocked out of you. Always move to one side entering to the left or right of the opponent. Never in a MAR should you meet the attack head on. You may put the attacker down, but it wastes too much energy, and the other attackers will close around on you on both sides. If throwing, go for the small weak parts on the arm; from the elbow down to the hand. Go for these as soon as they get in range. Make the opponents chase after you, this does not mean running away if when they cross the Sen no tachi line and you move to one side then they can only come at you or strike at the thin (Left or right) side of your body. You can also go lower in your stance as they are reaching for you which will make them reach down lower for you and you can rise and be in a higher position. Try to throw or strike into one spot ~~~~ so that 1,2,3 attackers are laying there, and they start pile up in that spot. Then move to another spot and let them pile up again and so on. Make use of walls and obstructions if available. Don't get caught in the middle of a room where you can be surrounded. Remember: Move First! Technique Second! Note the effective blend of the bald nage in the white hakama. He has just blended, avoiding the attempts of all 6 attackers, and is beginning the process of disarming and projecting the uke to his immediate right into several of his would be attackers. As the attacker crosses the line you inhale. As you apply a technique you exhale. Do not hold your breath. A big show of power, anger, aggression can not last for very long and then you are stuck with no energy left and they will get you. The key to multiple attacks is to stay claim and the state of mind is the most important. Deal with one person at a time and maneuver your body so that only one or two people reach you at one time. Your techniques have to work first time with the minimum of effort, and this requires superior timing and many hours of ordinary consultation training. Don’t be married to a particular attacker or a particular technique. If you can not apply a technique do not waste any effort trying to force it. Just move away and let them come after you and try something else.